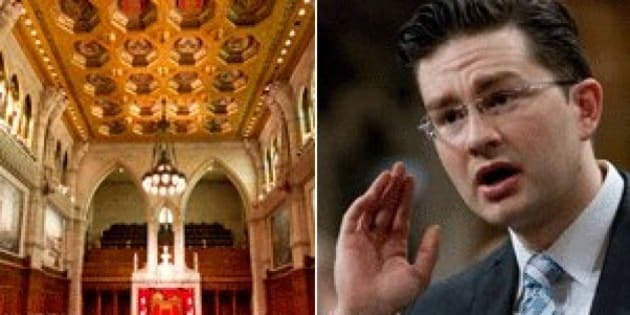 OTTAWA - Federal and provincial governments drew sharp battle lines Tuesday as Canada's top court began hearing arguments in a historic case that will determine how — or even if — the scandal-plagued Senate can be reformed or abolished. In the opening day of a three-day hearing, Supreme Court justices appeared to be skeptical of the federal government's contention that it can unilaterally reform the Senate without input from the provinces. But neither did they seem sold on the arguments advanced by the vast majority of provinces: that reform would require the approval of at least seven provinces with 50 per cent of the population while outright abolition would take unanimous consent. The competing viewpoints left at least one advocate of Senate reform discouraged. "I think that there are too many provinces that are going to be thinking for their regional self-interest, their narrow self-interest," said Evan Scrimshaw, a 16-year-old who skipped school to attend the historic hearing. "...I think what's going to end up happening is nothing is going to change, again." Scrimshaw had hoped public pressure in the midst of the Senate expenses scandal, which has been raging for almost a year, would compel governments to put aside their differences. But, while the public appears to have an insatiable appetite for tales of corruption in the Senate, there was little sign Tuesday of equal interest in a court hearing that could determine the maligned chamber's fate. The imposing wood-panelled court room was packed with an army of lawyers for the provinces, territories and various other interveners. Only a handful of private citizens, Scrimshaw among them, showed up. Of course, the hearing wasn't exactly tailored for mass public appeal. The dense, technical arguments were often eye-glazing, with at least one counsel appearing to nod off during his colleague's presentation. Prime Minister Stephen Harper's government has asked the Supreme Court to advise whether it can proceed unilaterally to impose term limits on senators and create a process for electing them. It has also asked the court to determine whether outright abolition of the upper chamber could be accomplished with the approval of just seven provinces, representing 50 per cent of the population. Only eight Supreme Court justices are hearing the case. The ninth, recently-appointed Marc Nadon, is effectively under quarantine until the court rules on a challenge to his appointment. Federal government lawyer Robert Frater kicked off proceedings, maintaining that term limits would have no impact on the Senate's fundamental character — a crucial point since the top court ruled in 1980 that substantial provincial consent is required for any reform that changes the essential characteristics of the upper house. Similarly, Frater argued that creating a non-binding, "consultative" election process wouldn't technically change the method of selection; the prime minister would continue to appoint senators, taking into consideration — but not necessarily choosing — the election winners. Justice Marshall Rothstein noted that the provinces might "call that a constitutional work-around." The federal position appears to be that the method of selecting senators and the duration of their terms are "mere details," Justice Louis LeBel suggested. When Frater demurred, LeBel shot back: "Then why should not there be some provincial input if these are not simply housekeeping details?" Justice Rosalie Abella suggested that imposing term limits on senators would affect their independence and their ability to provide sober second thought to legislation and, thus, would change the fundamental character of the Senate — an argument advanced by the provinces. But Frater maintained a term limit of at least eight years wouldn't appreciably shorten the average amount of time senators currently serve before reaching the mandatory retirement age of 75. As for Senate independence, he argued that was an objective "more aspirational than achieved." Senators are political partisans and generally toe their party's line, he noted. On abolition, federal colleague Christopher Rupar argued that the top court didn't require unanimous consent of the provinces to patriate the Constitution in 1982. It shouldn't, therefore, be required for a matter of lesser import, such as abolishing the Senate. While a number of the justices seemed dubious about the federal arguments, there was no free ride for the provinces either. The vast majority of provinces maintain the Senate is an essential part of the bargain struck at Confederation and no significant change can, therefore, be made without substantial or unanimous provincial consent. As Quebec counsel Jean-Yves Bernard put it, an appointed upper house with equal regional representation is a fundamental institution "that was part of the covenant at the very origins of Confederation." Indeed, he said Canada may never have come into existence without the Senate. Chief Justice Beverley McLachlin repeatedly questioned why the country should be stuck with a Senate as envisioned almost 150 years ago and which has not, in any event, turned out the way the Fathers of Confederation had hoped. She noted that the provinces have no objection to Ottawa unilaterally eliminating an outdated constitutional provision requiring a senator to own $4,000 worth of property in the province he or she is appointed to represent. If Ottawa can do that on its own, she asked, why couldn't it similarly modernize the manner in which senators are appointed? The justices seemed well aware that whatever they decide will be crucial in determining the Senate's fate. At one point, Abella questioned whether the provinces are setting the constitutional bar for reforming or abolishing the Senate too high. "Unanimity ... is almost impossible and 7-50 isn't easy either," she said. "Why would you be urging us to take an approach that makes it harder, rather than easier, to reform?" "It ought to be difficult," responded Nova Scotia counsel Edward Gores, given the importance of the role the Senate plays in the federation. "Ought it to be impossible?" Abella shot back.